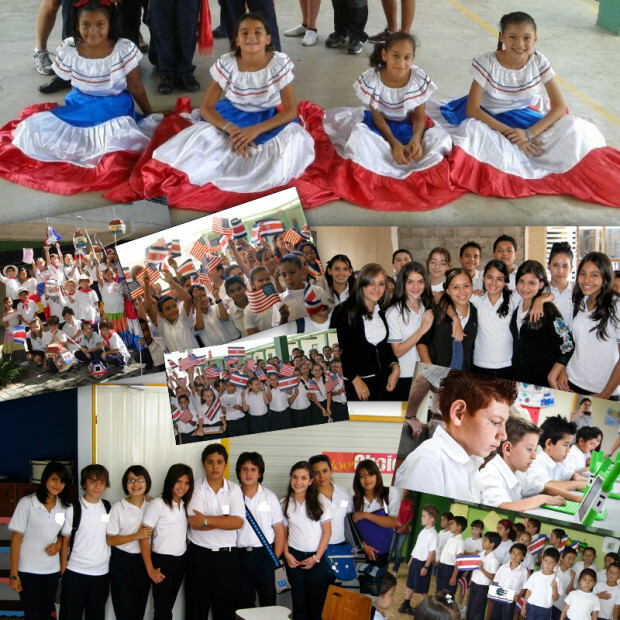 Our Campaign - Global Digital Divide, Inc. Most of us take for granted how much computers have improved how we live our lives. For others, they have not gotten the chance. We would like to change that. How would you feel if you knew that you could easily change the lives of the less fortunate and help provide them without access to computer technology? We already know, it feels great! Our newest program is already underway. 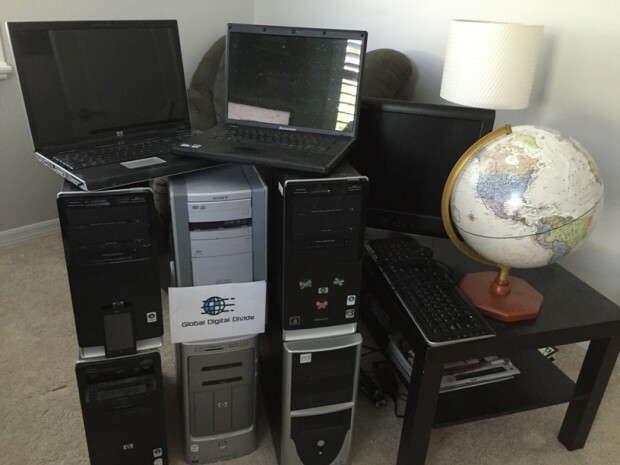 We at Global Digital Divide, Inc have already collected 6 desktop computers, 2 laptops, 1 monitor and 1 printer. That’s just a small amount of what we need to provide to meet your goal and not leave any disappointed students and schools. We need your help in securing $10,000 in donations over the next 30 days to fully fund this newest program. With your generous donations we will acquire more new and used desktop computers, laptops and tablets, prepare them to be used right away and transport them to already qualified Costa Rican students and schools. Start page set to the world renown Khan Academy. The Khan Academy is a ‘completely free to the user’ non-profit educational website that provides instructional videos and practice exercises primarily in the area of K-12 math, science, computer programming, history, art history, economics, English language and more. Pre-installed typing software so students can easily and quickly learn how to type. Knowing this skill early will make using the computer much more efficient. Global Digital Divide, Inc is a registered 501(c)(3) charity so you can feel secure knowing that all funds go towards legitimate non-profit activities and that your generous support is fully tax-deductible. It was officially started after seeing how difficult it was to acquire such technology and initially bringing a few smart phones and laptops to Costa Rica. After seeing the profound impact it had on the recipients, the idea of Global Digital Divide, Inc was formed. 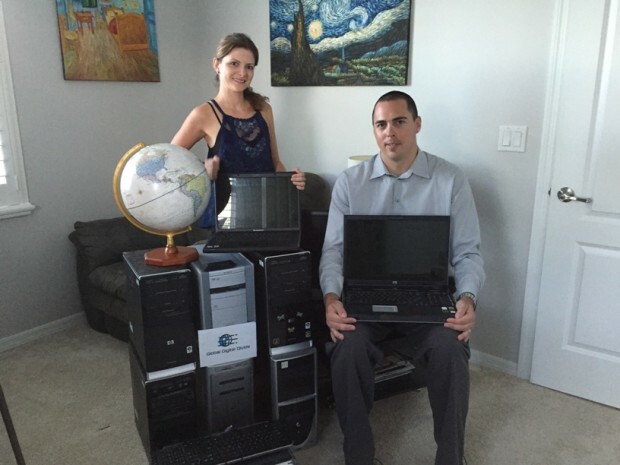 The husband and wife team decided they could start Global Digital Divide, Inc and help bring excess computer technology from the USA and elsewhere to Costa Rica but on a much larger scale. But this is only possible with the generous support from you! 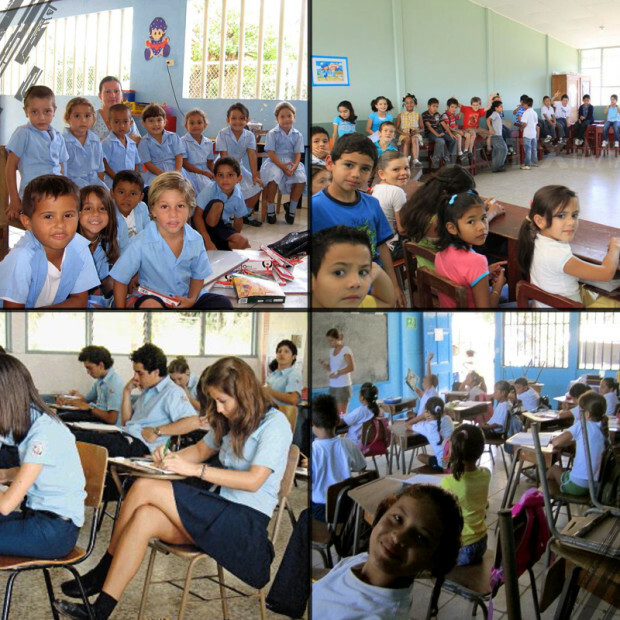 We need to secure at least $10,000 over the next 30 days to fully fund our newest campaign and fulfill our obligations towards the already qualified recipient students and schools. You can get more personally involved with us and the recipients with our perks! If we don’t reach our goal, we will still provide technology to as many qualified students and schools as we can. We have already collected this equipment above but it’s just a fraction of what we need to meet our obligations. We have already qualified many students and schools who have demonstrated a need for such computer technology and a capability to use it. Our goal is to provide either a desktop computer, laptop or tablet to all already qualified students, schools and classrooms. If we go over our goal of $10,000 over the next 30 days, we can qualify more students and schools to receive donated technology and provide more types of devices to more students in existing schools and classrooms. · Imagine that the child of organic shade grown coffee farmers gets access to a donated Global Digital Divide computer (made possible from your generous support) and makes contacts with specialty coffee buyers in the USA. By selling their coffee directly to eager buyers they are able to command higher prices and sell more. Their income increases and they are able to live a middle class lifestyle. · Imagine a gifted child gets access to a donated Global Digital Divide computer (made possible from your generous support) and is able to maximize their potential in this modern technological world and goes on to create a tech startup that employs thousands in the region and creates more opportunities around the world. · Imagine a student gets access to a donated Global Digital Divide computer (made possible from your generous support), learns how to type, learns how to use Word, Excel and PowerPoint, and gains access to valuable educational tools. This leads them to University study and a productive and rewarding life in the modern world. What is the ‘Global Digital Divide’? It is Global Digital Divide’s mission to help bridge the ‘global digital divide’ in Costa Rica, and in the future, other parts of Latin America. We want to bring the opportunities that computers offer to those who currently do not have. Acquire new and used desktop computers, laptops and tablets as inexpensively as possible. Make any necessary repairs to get the equipment in the best working conditions. Install custom software and apps (Khan Academy, free email, Skype, typing programs, etc) so the recipients get the most out of their donated devices. Ship this equipment to Costa Rica and transport it to specific schools. Provide support to them so they can get the most out of their donated devices.